"Katie and her team are the most fun, loving, energetic, and creative bunch around. They absolutely go above and beyond to make dreams come true. I couldn’t have been more blessed + thankful to have them be a part of my wedding day. If I could give 10 stars I would in a heart beat. You won’t be disappointed, and that’s a promise!" "Katie amazed me with my wedding flowers. She turned my pinterest ideas into much more than I could ever imagined. Everything was perfect and it was everything I could do not to cry and smear my makeup when I first looked into the reception barn. Aside from being a wonderfully talented florist, she is an amazing person. I highly recommend Mac's floral to anyone and everyone!" "I absolutely loved working with Katie and her team! From the very start she was organized and so helpful turning my ideas into a vision! When my wedding day came, she kept me in the loop with what to expect with delivery and set up. 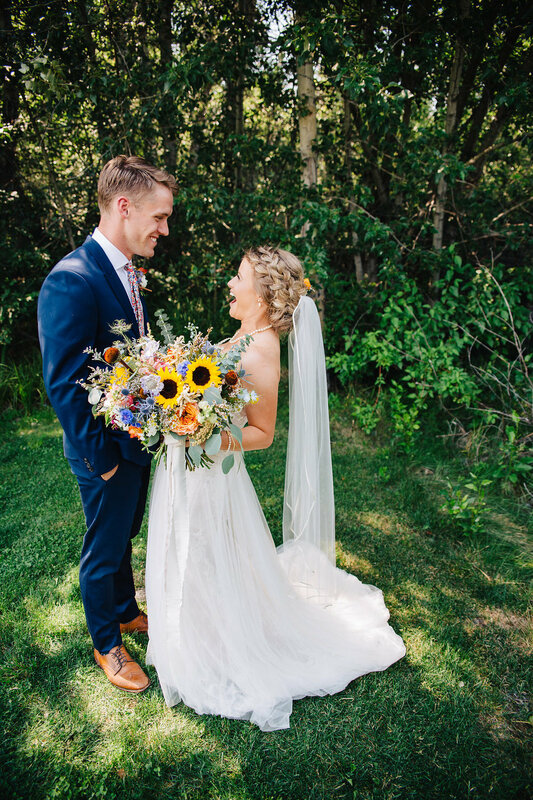 Every floral detail was exquisite from the bouquets and centerpieces, to the guys’ boutonnières! She is not only a creative artist, she’s a genuine sweetheart! Highly recommend!!"